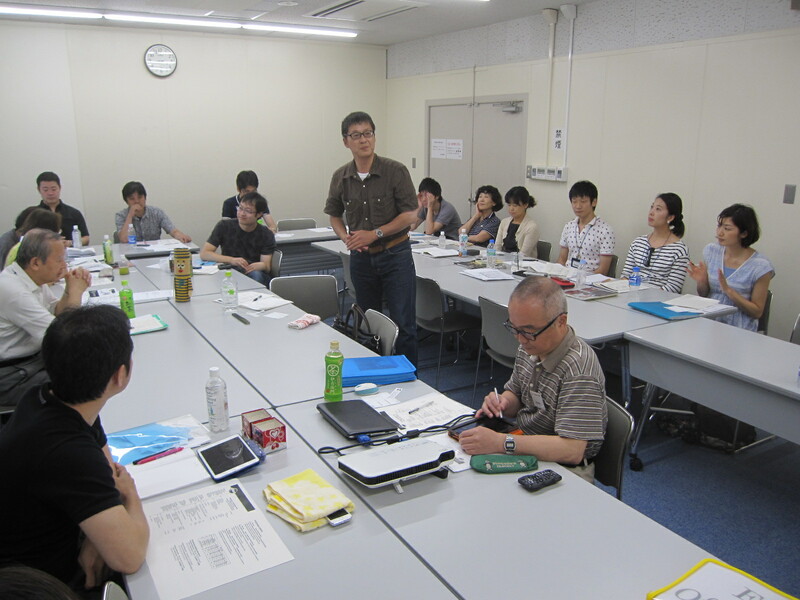 On August 1st, our 601st meeting was held at Hatoba-Kaikan. 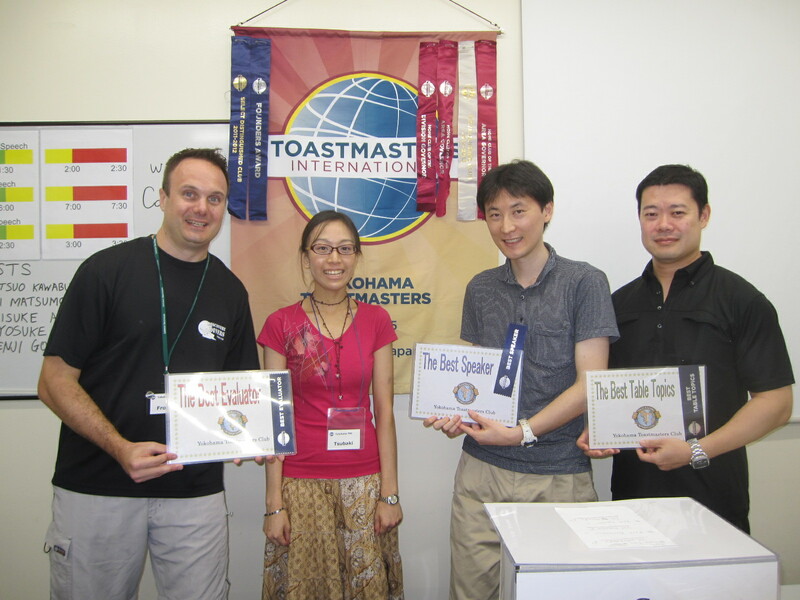 Indeed, after a fabulous celebration of our 600th meeting, we Yokohama Toastmasters began a new chapter of our club. Word of the day was “captivate”. I hope all the members are well captivated by YTMC activities! In the tips session, we learned how to prepare for a humorous talk for the audience. Joke session included some funny stories related to the Osaka dialect! Table topic session touched upon four thoughtful questions regarding World War II. 1. “It’s Me, Mom” TM T spoke about sometimes difficult yet heartwarming mother-and-son relationship. 2. “My sweet white fluffy girl” TM Y shared her precious experience with her pet dog back in her parents’ house. 3. “Follow the Mentors” TM M, a guest speaker from Den-en Toshi TMC, told how his passion for Rubik’s Cube was led by three people. I would like to thank the role takers, members and guests for making the meeting all the more enjoyable. 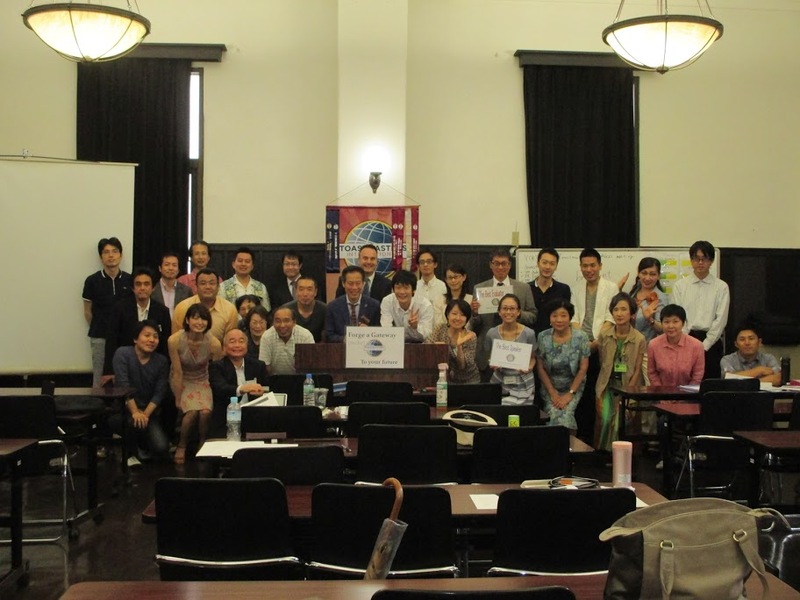 Yokohama Toastmasters Club celebrated a monumental landmark by reaching its 600th meeting. For 27 years YTMC has been setting a great example as the most prominent club in the area and this meeting was exciting and action packed with a host of guests. Toastmaster of the Day (TM Froebe) kicked off proceedings running through the schedule and discussing how we moved from Creating Pleasure with Your Performance to this year’s slogan, Gateway to Your Future! The Word of the Day was “Brilliant” and used well throughout the meeting. Our former President TM Taketomi got us off to a laughing start with his jokes and we moved along to TM Arai’s Table Topic sessions. She did a brilliant job bringing back good memories from our more members and guests, some of whom were there for the initial founding of YTMC. The prepared speech sessions were equally entertaining with our best speaker TM Tsubaki giving an interest speech about her Battle with Mr C. (Many are still wondering who or what Mr. C is) TM Nakanishi took us back a few years when he started Toastmasters and described the benefits he has enjoyed. TM Saito fought valiantly through his speech about his first boss but took the strong constructive criticism from TM Kawakami well. We should expect some good improvement as he moves on to his next project. TM Tachi had some glowing praise for the meeting in her General Evaluation but indicated the lack of our very own Tips session. This was left out due to the 4th speaker and the great number of guests commenting at the end of the meeting. TM Tsubaki (Best Speaker), TM Iimure (Best Table Topics), TM Kawakami (Best Evaluator) were awarded and we wrapped up proceeding with a great number of brilliant guests congratulating YTMC on our achievement and the quality of the meeting. Thank you to all our wonderful guests but a special thanks needs to go to our Members, who with their presence and efforts towards their Toastmaster Projects are keeping the YTMC dream alive.